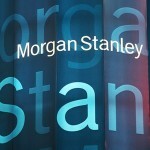 Wall Street investment bank Morgan Stanley reportedly is being investigated by federal authorities to see if it misled investors about mortage-derivatives deals it helped design and sometimes bet against. This is on the heels of the Securities and Exchange Commission charging Goldman Sachs with securities fraud involving similar collateralized debt obligations or CDOs. Law Professor Elizabeth Nowicki, a former SEC attorney and Wall Street lawyer, says this suggests Morgan Stanley might end up in the same position as Goldman is in.